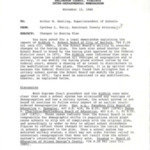 Confidential Legal Memorandum, Arlington County, Virginia Inter-Departmental Memorandum to Arthur W. Gosling, Superintendent of School from Cynthia L. Perry, Assistant County Attorney, "Changes to Busing Plan", November 12, 1986. 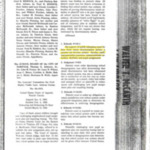 Attorney opinion on the School Board's ability to consider changes to the busing plan and whether the School Board is bound by the busing plan approved by the federal district court in 1971. 4 pages. Newspaper article, "Justices Let Norfolk End Court-Ordered Busing Plan", Washington Post, November 4, 1986, pg. A1. 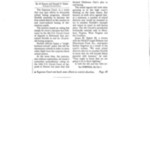 Newspaper article, "Justices Let Norfolk End Court-Ordered Busing Plan", Washington Post, November 4, 1986, pg. A1. 2 pages. 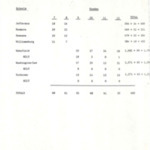 Arlington Public Schools, Students Enrolled in Arlington Schools from the Nauck area as of April 2, 1986, April 30, 1986. Listing by school, grade and total Black students in grades K-6 and total Black students in school. 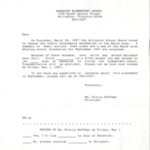 Memorandum: to Margaret Heckard from Thomas A. Newman, Jr., Supervisor of Transportation, "Students transported for desegregation", October 9, 1986. 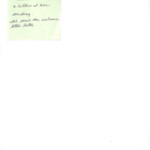 Listing by schools and number of students with handwritten notes. 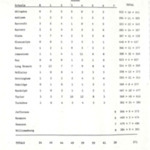 "1985-86 Home School Enrollment of Drew Students as of March, 1986." 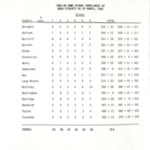 Listing by school, grade and total students. 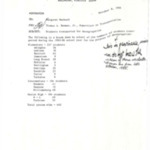 "1985-86 Home School Enrollment of H-B Woodlawn Students as of March, 1986." 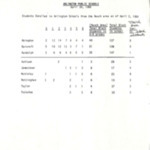 "1985-86 Home School Enrollment of Page Students as of March, 1986." 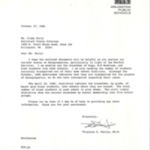 Letter to Ms. Cindy Perry, Assistant County Attorney, from Virginia C. Vertiz, Ph. D., October 27, 1986. John K. Hart et al, Appellants, v. County School Board of Arlington County, Virginia and Robert I. Chisholm, Division Superintendent of Schools for the County of Arlington, Appellees, No. 71-1791. 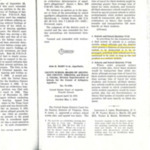 Copy of case with highlighting. 6 pages. Constitution of the United States starting with Amendment V through Amendment XXII. Constitution of the United States starting with Amendment V through Amendment XXII. 2 pages. 2 pages. Riddick By Riddick v. School Bd. Of City of Norfolk. 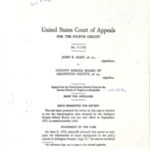 Copy of case. 24 pages. Cover page: United States Court of Appeals for the Fourth Circuit, No. 71-1791, John K. Hart, et al v. County School Board of Arlington County, et al, Appeal from the United States District Court for the Eastern District of Virginia at Alexandria. 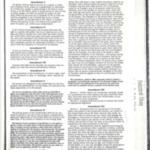 Contents include Brief for Appellees, Issue Presented for Review and Statement of the Case. 16 pages. 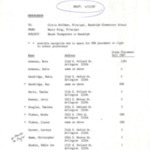 "Kenmore Students Who Are Affected By The Boundary Changes", no date. Listing by grade, name and school. Handwritten note: "Randolph", Listing by grade, name, address and school (Abingdon), no context, no date. 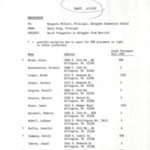 Memorandum: to Margaret McCourt, Principal, Abingdon Elementary School from Nancy King, Principal, Barcroft Elementary School, "Nauck Youngsters Going to Abingdon from Barcroft", Draft, April 15, 1987. 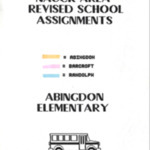 Listing of students from Barcroft Elementary School going to Abingdon Elementary School by name, address and grade. 2 pages. 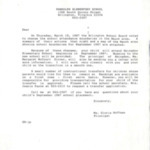 Memorandum: to Gloria Hoffman, Principal Randolph Elementary School from Nancy King, Principal, Barcroft Elementary School, "Nauck Youngsters Going to Randolph", Draft, April 15, 1987. Listing of students from Barcroft Elementary School going to Randolph Elementary School by name, address and grade. 3 pages. 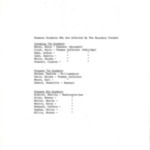 Cover sheet and printouts, "Nauck Area Revised School Assignments" from Abingdon, Barcroft and Randolph, no date. 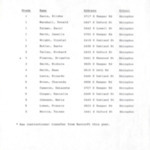 Printouts include grade, name, address, race and school. 17 pages. Example of notification letter and form sent to parents of students being transferred due to redistricting of Nauck District from Randolph Elementary School, no date. Handwritten note to John to go with the examples of letters being sent to parents about school boundary changes, no date. Example of notification letter sent to parents of students being transferred due to redistricting of Nauck District from Randolph Elementary School, no date.